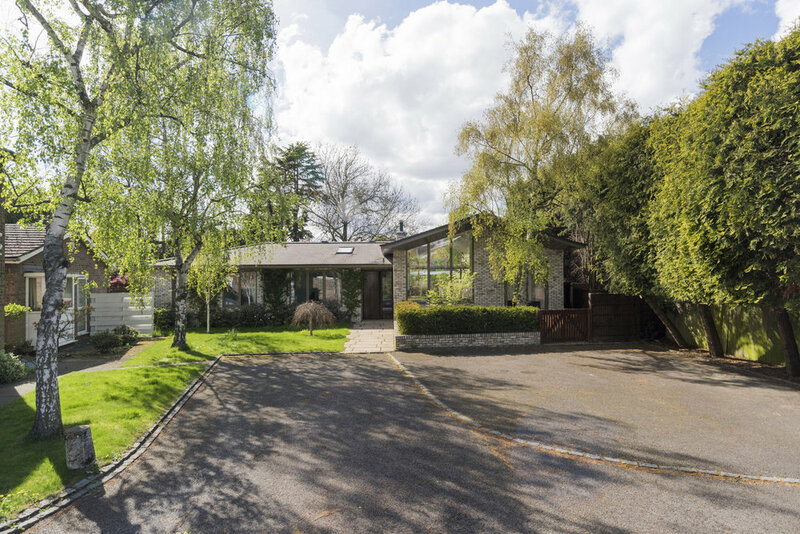 This project is a contemporary reinterpretation of the classic 1960s bungalow that existed on the site, with an aim to be grand in its aspirations and in its scale, for what is otherwise just a humble typical bungalow. The design takes the exact dimensions, roof pitch and window geometries of the former gable maisonette ends and uses them for a new gable that is orientated along the site’s northern axis. The building is split into a gable ended public zone to the north that faces the public courtyard and the long garden to the west. 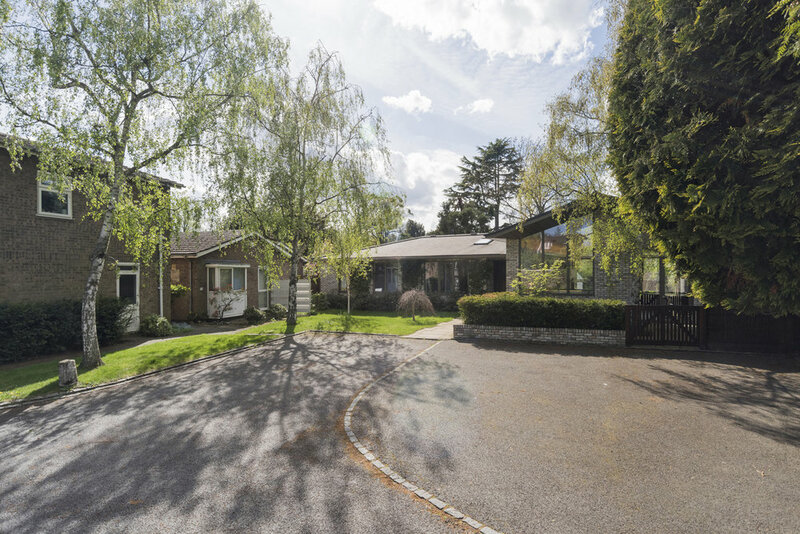 From this main living space is offset the private bedrooms to the south with a roof ridge height the same as the neighbouring bungalow to the south. The simplicity of plan and limit to only a single storey were determined by Conservation Area requirements as well as structural piling economy. The architectural style is a concerted effort to not be of any particular style or fashion: architecture should aspire to be timeless. 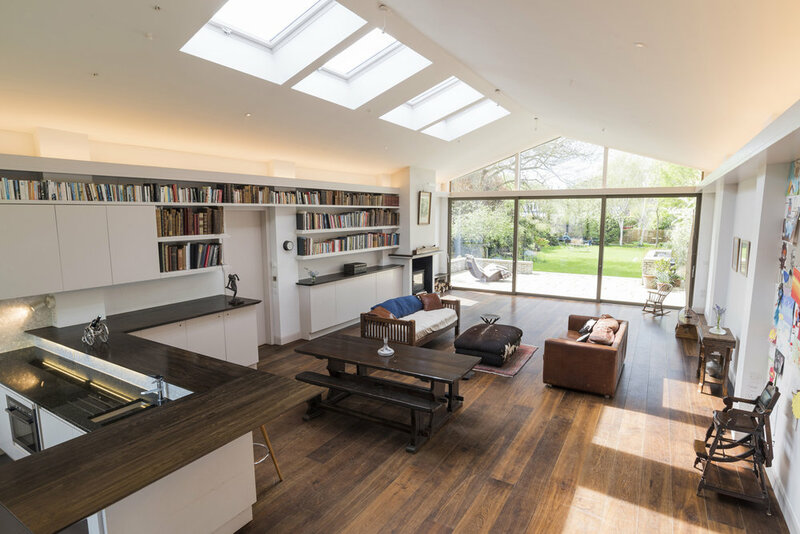 A piano-bar kitchen overlooks an east facing courtyard and then the open plan space adjoins a central dining area through to a low living space that opens down onto a wide terrace on axis with the secluded west facing garden. The tapered roof symmetrically faces both east and west to provide low level sun to penetrate completely through this 400 m3 hall throughout the year. The more private parts of the house are simply arranged in the south wing. The landscape design provides a more public face to the east and a more interlinked linear series of spaces to the West with graded entry and access to provide disabled access. 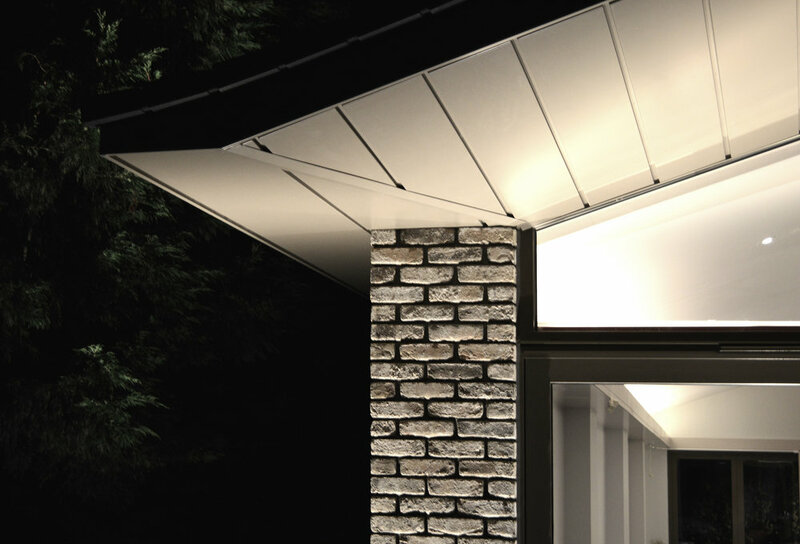 The over-riding aesthetic of a bungalow building is the prominence of the roof. The proposed roof finish is a re-constituted British slate. This allows for flat crisp detailing whilst being complimentary to the adjacent buildings. If life is a theatrical act then the family home is a stage for domestic life. 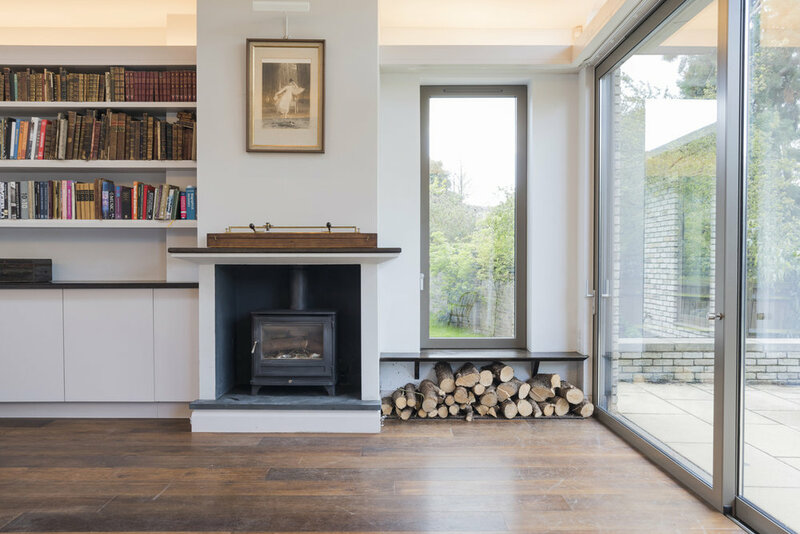 This project reinterprets the classic 1960s bungalow to take this saying literally with a medieval scaled family hall complete with a minstrel’s gallery and stage.